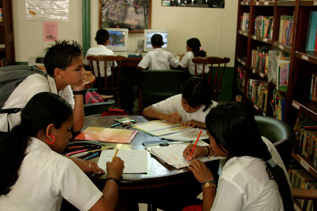 The SCLC started originally as a public library, a scarce commodity in rural Costa Rica. While the SCLC since has evolved into a community centre, the library remains and includes a collection of hundreds of books in both English and Spanish. Community members and visitors may check-out books from the library. The library is also equipped with 6 computers. The SCLC is always in need of more books in Spanish language to offer to our readers aged 10 years and older. Please e-mail us at General Information for information about making an in-kind donation. Thank you! Founded by Bertha Carter and Giovanna Holbrook in 1995, the Learning Center was originally intended as library. Today, the SCLC has an agreement with the Ministry of Culture and Youth, through its major project, the National Library System of Costa Rica (SINABI). The library is called the Sarapiquí-Heredia Semi-Public Library, and forms part of the State Library Network. It is the only library in the county and offers free access to its material and services. This includes use of the books, facilities, talks, workshops, Mobil Library, and cultural space. Core audiences for these resources are young children, young adults and older adults. Contact us by email at: bpchilamate@sinabi.go.cr. Requirements to be a member and obtain a library card are to present at the library in person the following: Identity card or passport, 2 photographs (passport size), a completed form (available at the library). As part of our library program, the SCLC also brings books and learning out into the local community. 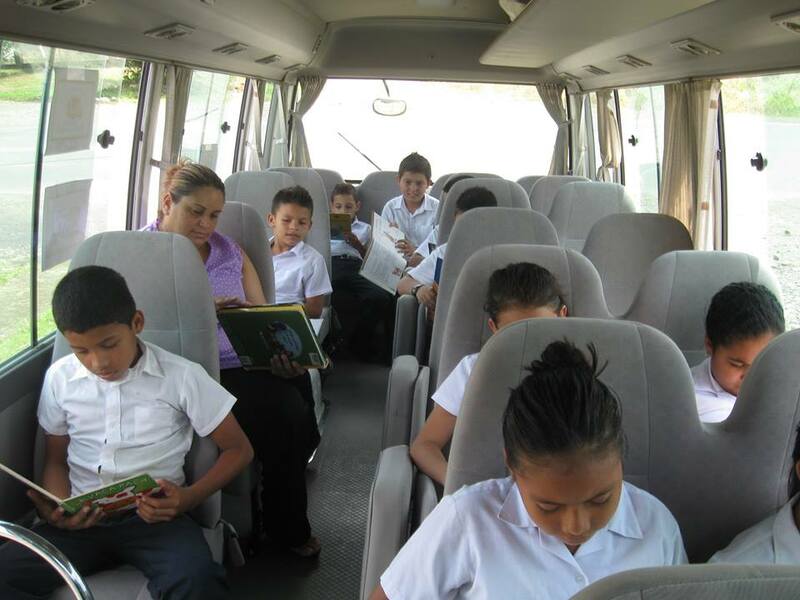 This is our Mobil Library program in which we work with the Ministry of Public Education and select communities in the Sarapiquí county. We visit that community on a monthly basis for a period of 5 months and we work with classrooms and/or families to do activities with books and build literacy skills. Small towns such as La Conquista, La Virgen, and Corazón de Jesús have participated in the program in 2016. Additionally we bring the library to public events such as Environmental Fairs and other events that are held in Sarapiqui; bringing books out to these events gives the public a connection with their library!